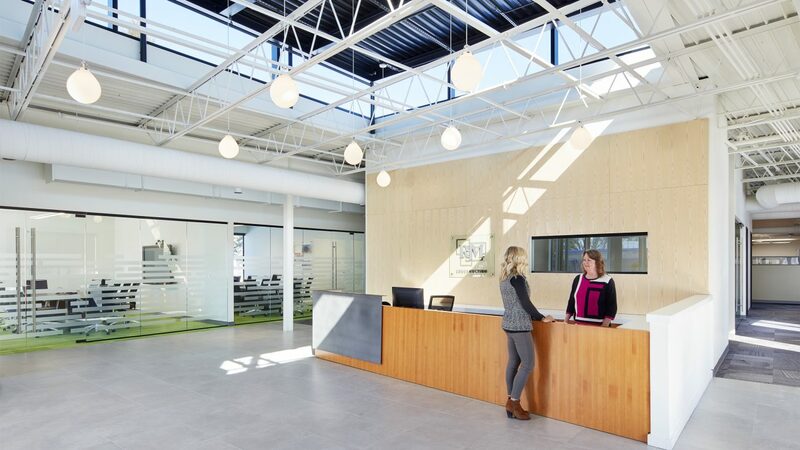 This project was the third office renovation project that 292 has designed for RJM Construction. 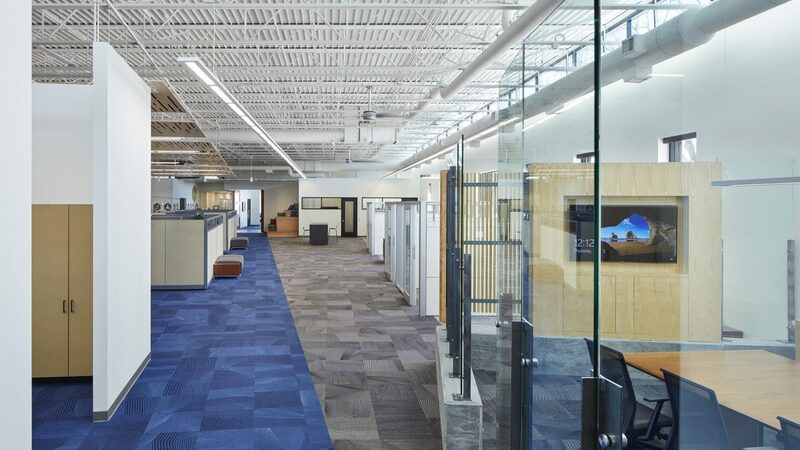 This project involved renovation of existing office and warehouse spaces into corporate offices for RJM Construction. 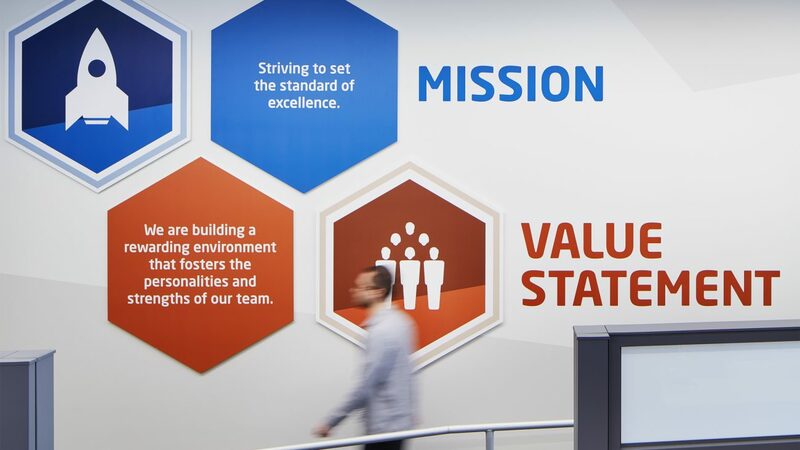 The shell of the original space remain, but the renovated facility is open and bright to reflect the company’s philosophy of transparency for clients, to support team collaboration, and to provide a healthy, vibrant workplace. The existing, single-story building had two distinct areas- the office space and open warehouse. The renovation involved stitching the two areas into one entity. 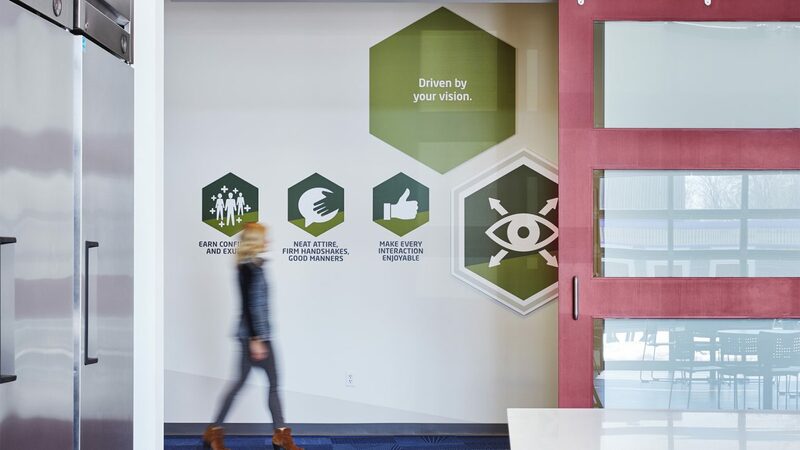 A ramp/stair design was incorporated into the overall concept; the intersecting area at the stair/ramp became the location of collaboration areas for informal and formal meetings. 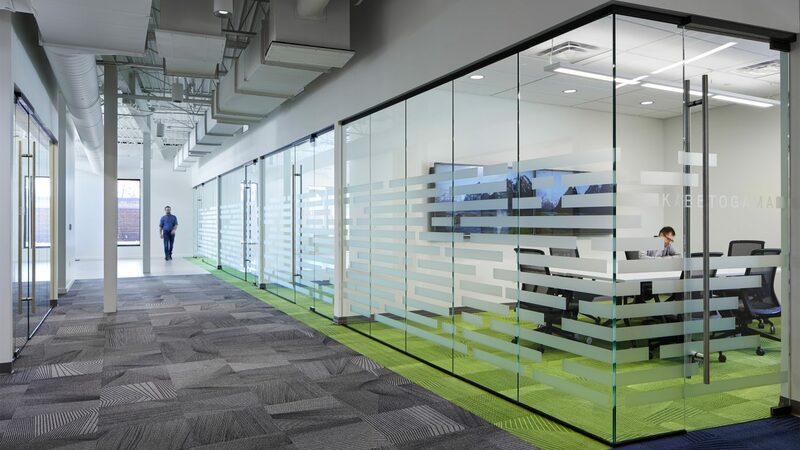 Conference rooms (relocated from RJM’s previous location) are partially enclosed, yet visually open with glass partitions; an informal collaboration space defined by a dry-erase wall – the idea wall – is situated along a main circulation route between the two levels of the office space. 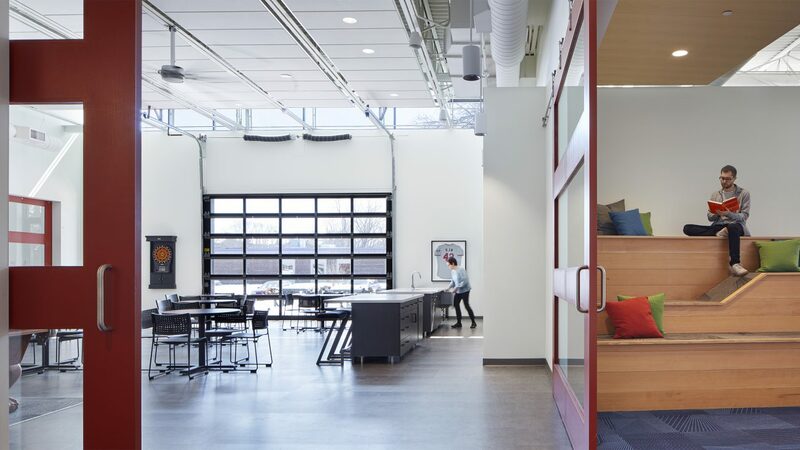 There is also an expansive break-room with tables and bar seating, a kitchen area, and overhead garage doors that open to an adjacent outdoor patio. 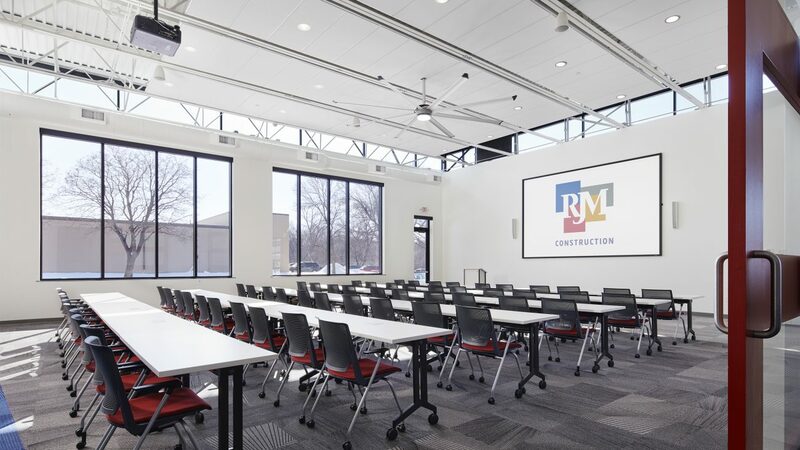 RJM has the ability to rent out the breakroom and training space to others. The location of these spaces allow the rooms to be isolated from the office space, but have access to restrooms and the exterior patio. RJM Construction is the construction company that managed the project.